Since closing the shop at Petalina I seem to have acquired quite a collection of my favourite dolls that we sold over the years. However, I missed the last few Kathe Kruse dolls during our closing down sale as I hadn’t anticipated how quickly things would sell out, and for the last year I have regretted not keeping one. My favourites had always been the Sophie and Elea dolls from a few years ago but more recently the Gluckskind had caught my eye. 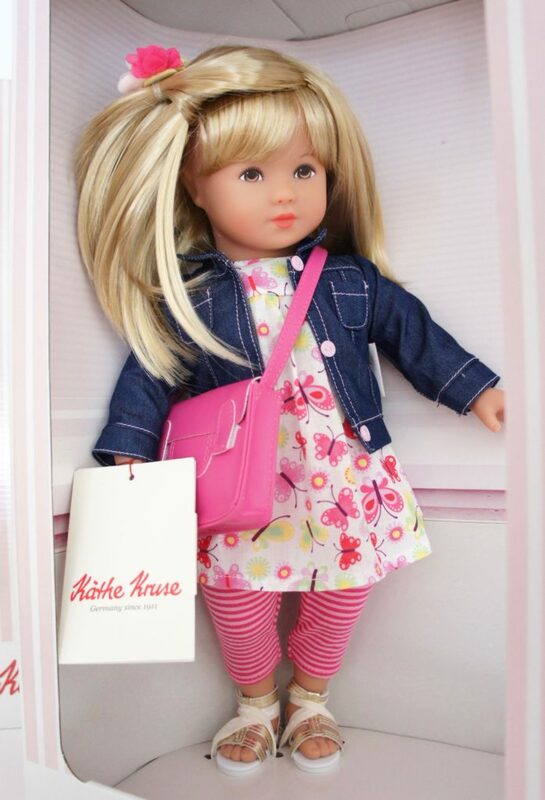 Then I came across some photos of the most recent Kathe Kruse Glückskind dolls and quickly ordered one! And here she is, Glückskind Emelie. A reminder that all the photographs in this blog post have been taken by myself and are therefore my intellectual property. You should not remove, copy or use these photographs without my consent to do so. Glückskind dolls have been a part of the Kathe Kruse collection for many years and the name means Child of Fortune, or Lucky Child. 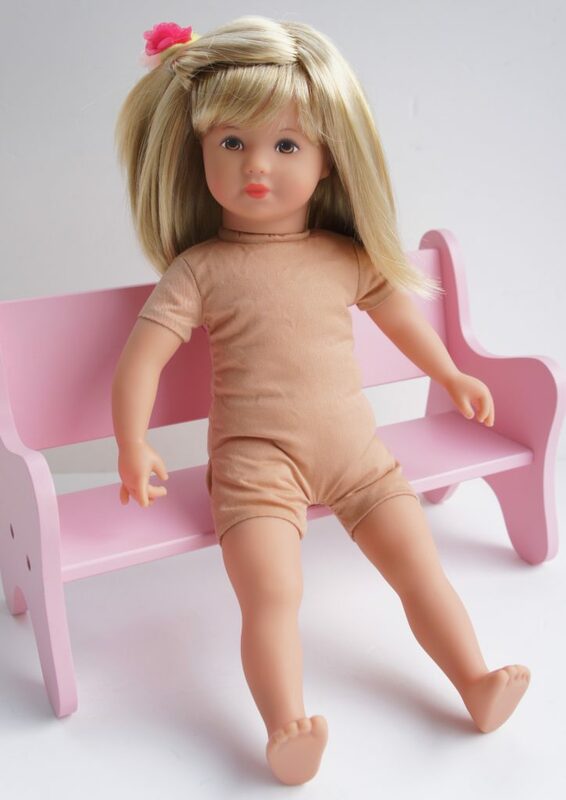 Originally their bodies and limbs were made of fabric but a few years ago the dolls were updated to have cuddly bodies with sewn on vinyl arms and legs. Their heads are made of phthalate free vinyl and can turn from side to side. The soft filling in the bodies is polyester fibre and the bottoms have some pellets in to add some weight. The doll body can be cleaned with a damp cloth. My photographs show Emelie standing up and this was a complete surprise considering her floppy limbs. 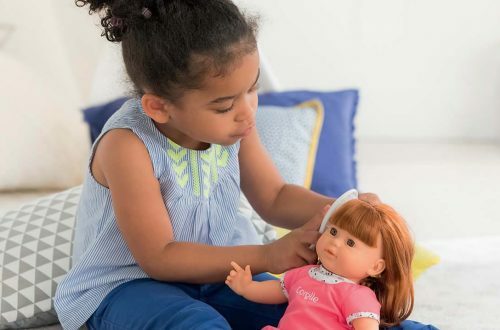 As a result she is a little wonky but please don’t expect a doll you purchase to necessarily do this, and it would be far too difficult for a young child to manage. 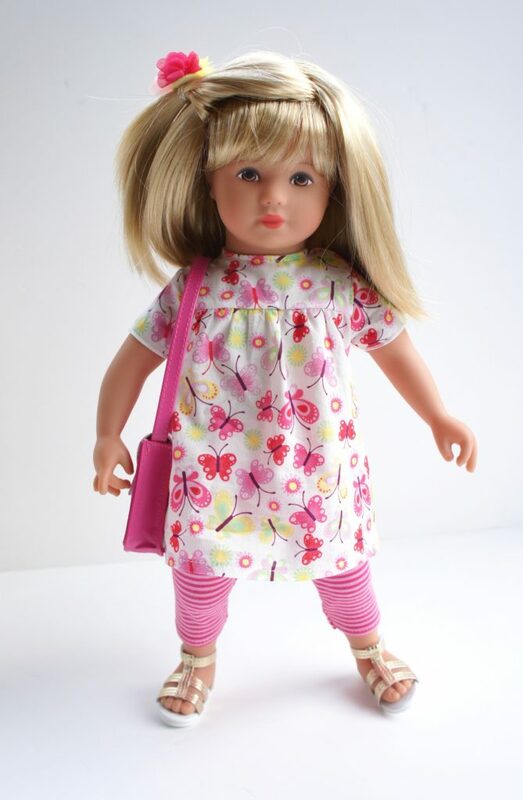 Kathe Kruse Gluckskind dolls are soft and cuddly and can’t really stand at all. When Gluckskind Emelie arrived I have to admit to being a little nervous. Would she possess that difficult to describe characteristic that is so unique to Kathe Kruse dolls? No other make of doll has the same beauty and quality. 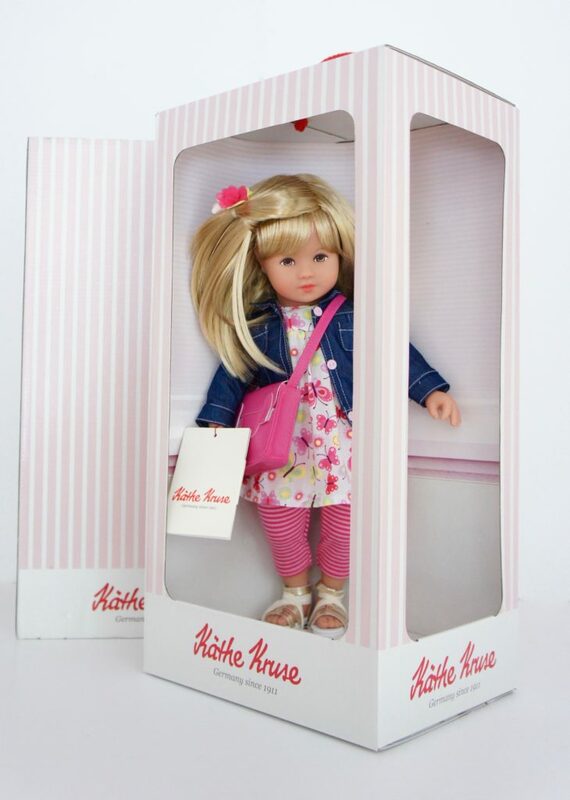 No other doll sings to you in quite the same way as a Kathe Kruse doll. But there was absolutely no need to be concerned because Gluckskind Emelie is a complete delight! I am absolutely thrilled with her and to me she sums up what I have loved about Kathe Kruse dolls for the last 13 years. Perfection. Kathe Kruse dolls are the Rolls Royce of the doll world – beautiful design, top quality materials and highly skilled craftsmanship. So who are the Kathe Kruse Gluckskind dolls intended for? 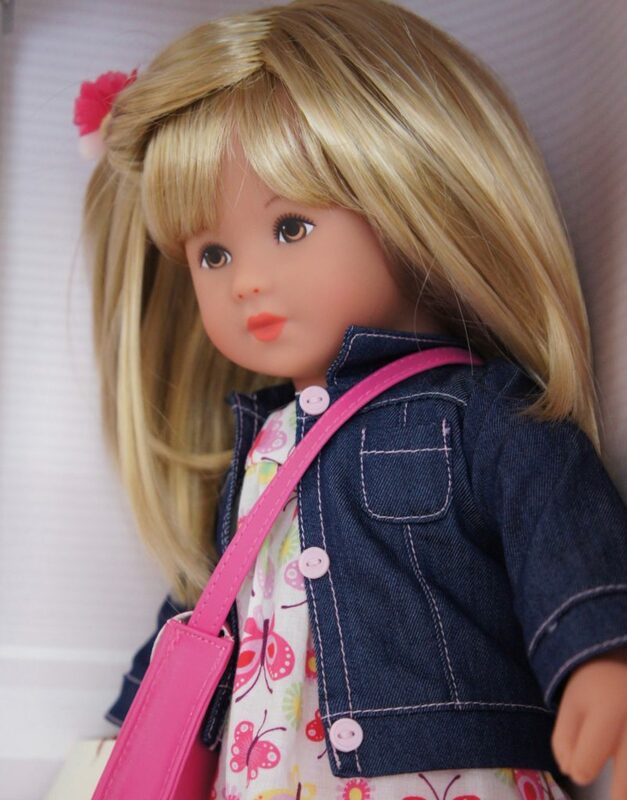 Being a soft cuddly doll and not too large at 15.5″ (39cm), they are aimed at young children from age 3 or 4 who are ready for their first doll with hair, so pre-schoolers. The hair is always a high quality wig very neatly and securely applied, and which is tough enough to cope with little girls constantly brushing it. It can even be washed and styled, and dried at room temperature. The faces of Kathe Kruse dolls are always painted and the Gluckskind dolls have traditional Kathe Kruse style eyes with lots of eyelashes. The expression of the Gluckskind face is neutral which allows the child’s imagination to be creative. What a pretty little face Emelia has. 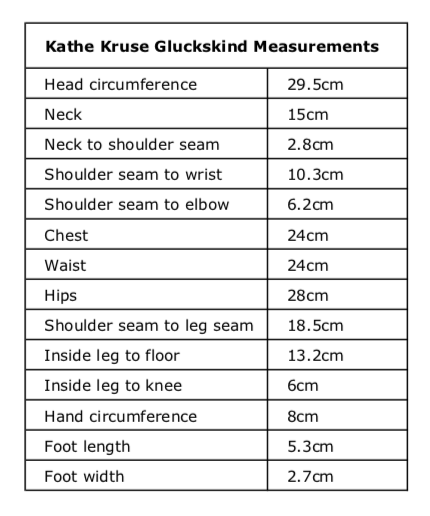 Kathe Kruse clothes are also very superior to other brands. The fabrics that are used tend to be natural where possible, with lots of pretty prints on cotton. The clothing designs are always intricate with special details that set them apart from other brands, and the finish is always superb. Emelie’s tunic dress, leggings and jacket are no exception to this. And of course she has beautifully made accessories, a pink satchel for kindergarten and a pair of gold sandals which are simply gorgeous. 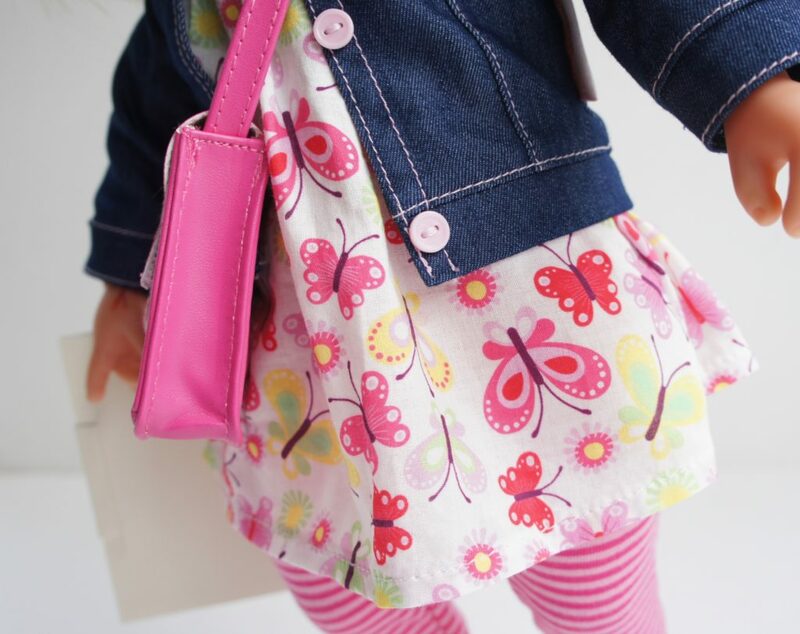 Emelie’s outfit reflects clothes that young girls would wear themselves so is bound to be much loved by little mummies everywhere. The final thing that I love about Kathe Kruse products is that they are made in Europe, in Latvia. The shoes and accessories (such as the satchel) I believe are made in the Far East, possibly China. There is also no plastic used in the packaging which is quite a large cardboard box with layers, which I do think is a bit too big for a doll of this size. The doll is also tied in place with cotton ribbons only. No wire! Having said that the box is large, imagine being a little girl receiving this doll as a gift. It’s big and so exciting! Some of you may be asking now where you can find one of these beauties but unfortunately retailers in the UK don’t seem to like them very much. I had to purchase Emelie from Amazon. Together with Emelie, these are the most recent dolls to be added to the Kathe Kruse Gluckskind range and are the only ones I have been able to find on Amazon. Now that you have seen all these lovely photographs, have I convinced you to consider purchasing a Kathe Kruse Gluckskind doll for a little girl in your life? I really do hope so. 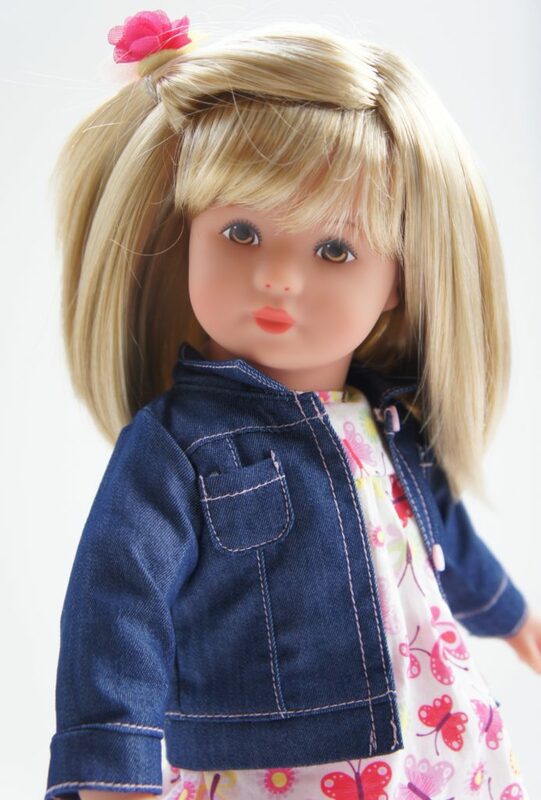 They are beautiful dolls made in Europe to a high standard. 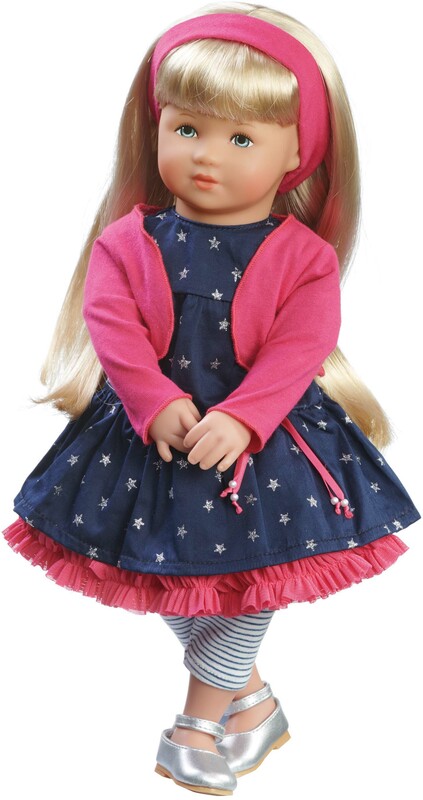 So few dolls are made in Europe now that we need to support them and keep them going for future generations. 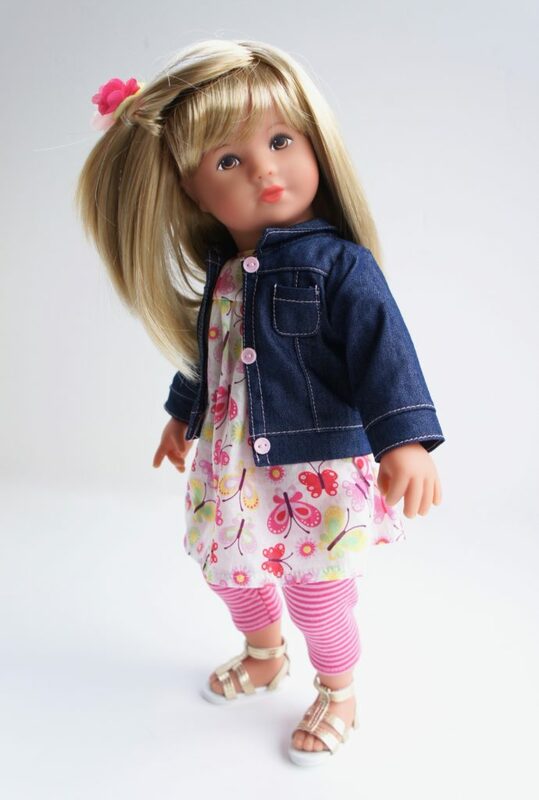 The links to Amazon in this blog post are affiliated which means that I will receive a small commission from Amazon should you purchase one of the dolls. However, this does not affect the price you pay but it does help me pay for the costs of running the blog. I purchased the doll myself and all opinions are my own. 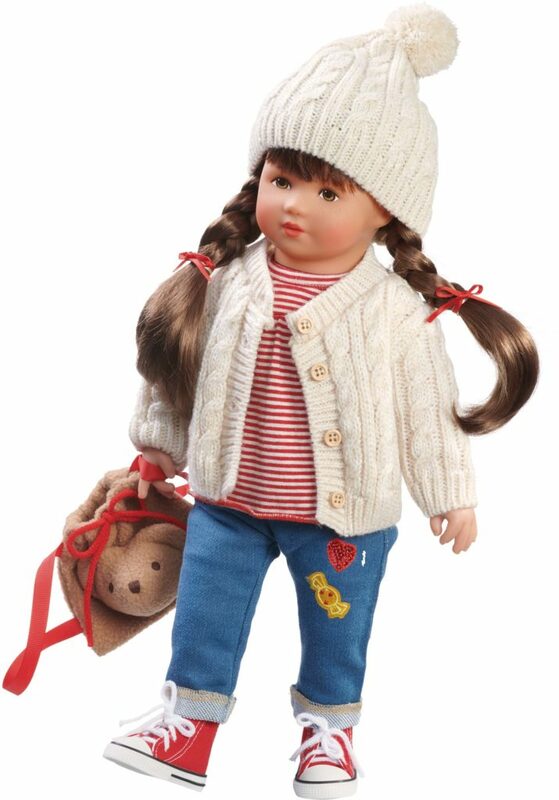 I found Pippa as Pippi on AmazonUK – just ordering the beautiful Emelie! Thank you for that, I’ll put in a link. Must have been my mistake, although I also searched Lucky Child which is odd. We have bought a Gotz doll from Petalinadolls and we are very satisfied. 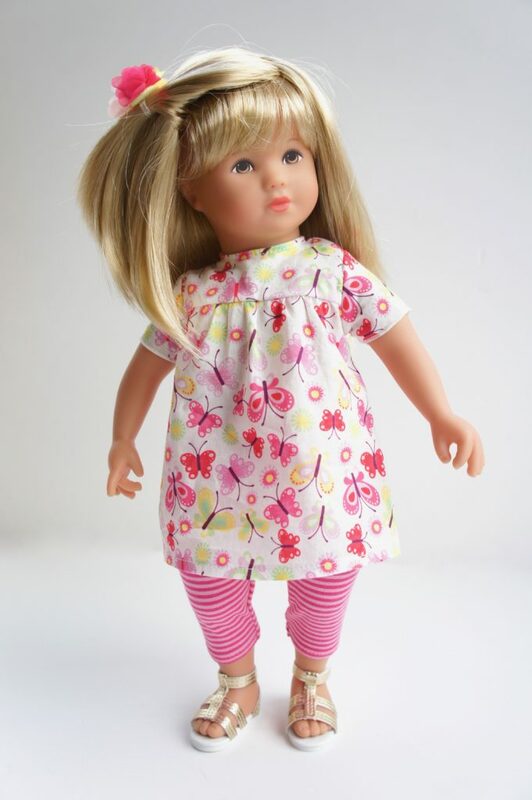 We love Petalina’s dolls and other items. 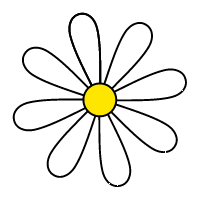 Hi there, thank you for your comment. I’m afraid we are no longer a shop and don’t sell any dolls. 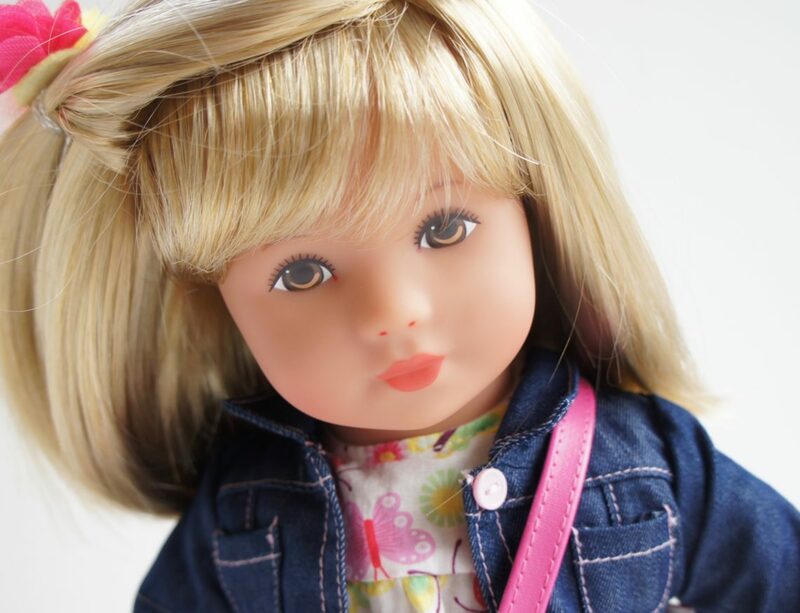 You can find new dolls at the retailers recommended on our ‘Where to Buy’ page.